If you love artichokes, you’ll be hard pressed to enjoy something better than our rich pairing of artichokes and their hearts, creamy parmesan cheese, and olive oil accented with onions, garlic, herbs and dots of roasted tomatoes. Serve on bruschetta rounds. Stir into a safron risotto. Toss with pasta. Spread on a shellfsh or chicken sandwich. Fold into a cheese omelet. Eat straight out of the jar! This classic olive tapenade marries a variety of black olives with extra virgin olive oil, thyme and parsley. Lemons and capers add a twist of vibrant flavor. Simply serve with toasted bread or crackers. Add to salad dressings or combine with mayo as a sandwich spread. Perfect to top roasted meats or seafood. Partner with Italian and Spanish style cheeses. 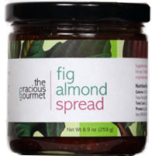 A luscious pairing of dried figs, fresh fig puree, and sliced almonds with hints of orange, lemon and lime enlivens everything from duck to ice cream. Serve with chicken, duck, game, pork, and foie gras. Try it with soft or blue cheeses. Use it to top vanilla ice cream or pancakes. Mix into plain muffin batter. Middle Eastern spices accent roasted eggplant which has slowly simmered with olive oil, garlic, cilantro and a touch of tomato. Serve with grilled beef, lamb, chicken, pork, fish or shell fish. Combine with mayo as a sandwich spread. Stir into a safron risotto or plain rice. Fold into an omelet. Add to an antipasti platter. Spread on bruschetta. Eat straight out of the jar! 7 oz. A combination of pears and dried cranberries is sweetened with honey, spiced with black pepper and accentuated with a subtle hint of rosemary. Perfect with cheeses, poultry and pork or, for a novel treat, spooned over ice cream. Top on all types of soft cow and goat cheeses and blue cheeses. Toss with greens, walnuts and a nut oil vinaigrette. Delicious with chicken, duck and pork. Served with pound cake and whipped cream. Mix into yogurt. Top vanilla or caramel ice cream. 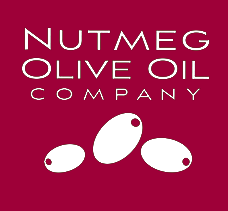 An intensely cherry favored spread produced by simmering sour Morello cherries, both whole and pureed, tart dried cherries and spices with red Burgundy wine. Serve with chicken, duck, pork or game. Accompany soft or semi soft cow or sheep cheeses. Mix into basmati rice. Top a plain cheesecake. Spoon over chocolate or vanilla ice cream.